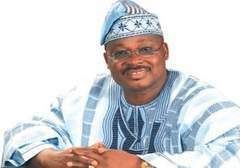 Oyo State Governor, Senator Abiola Ajimobi, has expressed confidence that the candidate of the All Progressives Congress, Alhaji Gboyega Oyetola, will win the September 22 governorship election in Osun State judging by the exemplary performance of the incumbent administration. The governor said this during the visit of the Assistant Inspector General of Police in charge of Zone 11, Danjuma Ibrahim, to his office, in Ibadan, on Wednesday. Describing the visitor as an intelligent officer, the governor stressed that the leadership of the police in the zone was well grounded and competent enough to be able to ensure that the election was peaceful. He assured the police authority of the readiness of the state government to assist the zone towards ensuring that the governorship election in Osun State was a success. The governor said, "AIG Danjuma Ibraheem is one of the most intelligent officers I have ever met and I can easily predict that he will get to the peak of his career soon. Your visit is heartwarming. "We are quite sure that the coming Osun election is going to be free and fair and we shall provide necessary support towards this. It is very apparent, though, that APC will win easily because ours is the only party that is on ground and accepted by the people. "We are confident that the APC will win the September 22 election because of the exemplary performance of the incumbent administration in Osun State. One should have no doubt that the APC will retain Osun State." Commending the governor for restoring peace and security to the state through the combined efforts of security agencies, the police boss said that the resultant effect could be seen in the socio-economic growth of the state. Ibrahim appealed to the governor to extend the assistance that he had been giving to the police state command in relation to refurbishing of operational vehicles and provision of Armoured Personnel Carriers and other logistic supports to the zonal command. He said, "You already know that policing is not easy, especially when you consider the logistics that must be put in place to achieve success. The zonal command needs operational vehicles to assist our operation. "On the coming Osun State governorship elections, we can assure you that we have more than enough personnel ready for the assignment. We will do everything humanly possible to ward off intruders that might want to sneak in and wreck havoc on the election day.